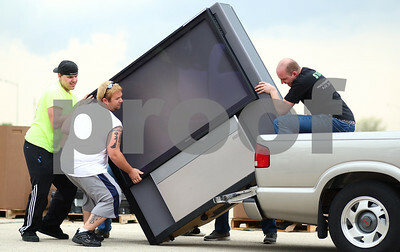 Rob Winner – rwinner@shawmedia.com Justin Leroy of Advanced Technology Recycling carries a television from a vehicle during an electronics recycling collection at the DeKalb County Health Department's parking lot Saturday morning. 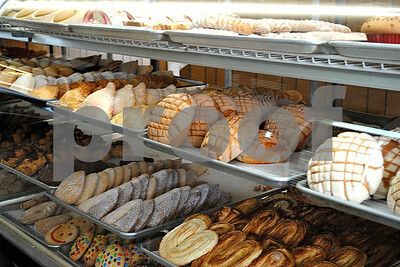 The event was sponsored by the DeKalb County Solid Waste Management Program and the DeKalb County Farm Bureau. Rob Winner – rwinner@shawmedia.com Barb Ehresman, CEO of Advanced Technology Recycling, cuts the cord from a keyboard during an electronics recycling collection at the DeKalb County Health Department's parking lot Saturday morning. 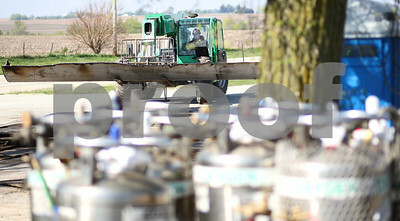 The event was sponsored by the DeKalb County Solid Waste Management Program and the DeKalb County Farm Bureau. Rob Winner – rwinner@shawmedia.com Northern Illinois University Sophomore Trevor McKeown (front) uses a rake while doing yard work for Dave Miner (right) during NIU Cares Day Saturday morning in DeKalb. Miner injured his shoulder five years ago and appreciated the help from the NIU students. 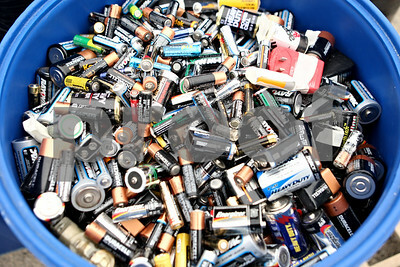 Rob Winner – rwinner@shawmedia.com A blue barrel is used to collect used batteries during an electronics recycling collection at the DeKalb County Health Department's parking lot Saturday morning. 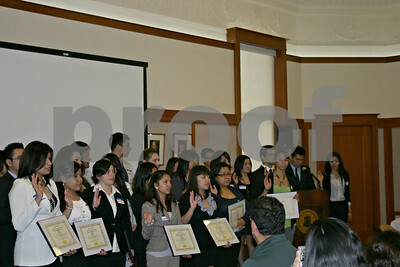 The event was sponsored by the DeKalb County Solid Waste Management Program and the DeKalb County Farm Bureau. Rob Winner – rwinner@shawmedia.com Northern Illinois University student Patrick Olas (right) checks in at the Holmes Student Center before starting a volunteer project during NIU Cares Day Saturday morning in DeKalb. 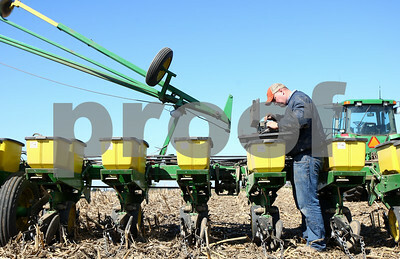 Kyle Bursaw – kbursaw@shawmedia.com Paul Schweitzer unloads bags of corn seed into the bins of a seed planter while planting at a Malta farm on Thursday, April 12, 2012. 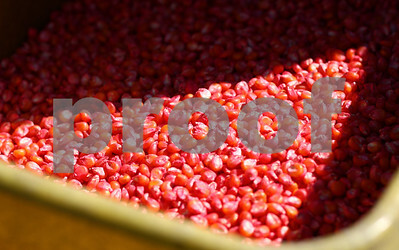 Kyle Bursaw – kbursaw@shawmedia.com Light hits a freshly filled bin of corn seed in the planter at one of the Schweitzer's farms in Malta on Thursday, April 12, 2012. 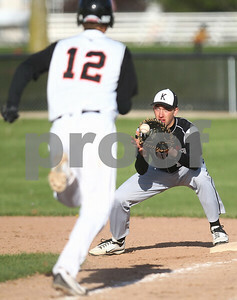 Kyle Bursaw – kbursaw@shawmedia.com Kaneland first baseman Matt Limbrunner makes the out ahead of DeKalb's Matt Hoyle during the bottom of the seventh inning at Huntley Middle School on Monday, April 16, 2012. Kaneland won 6-2. 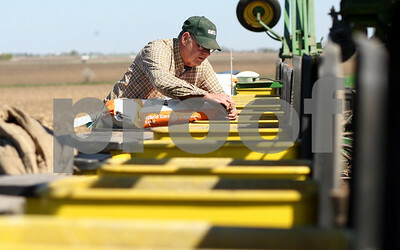 Kyle Bursaw – kbursaw@shawmedia.com Mike Schweitzer grabs some things out of the toolbox he keeps on his seed planter to make an adjustment while planting in Malta on Thursday, April 12, 2012. 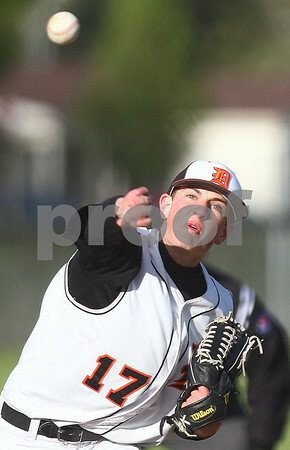 Kyle Bursaw – kbursaw@shawmedia.com DeKalb pitcher Tyler Gosnell delivers in the top of the seventh inning of the game against Kaneland at Huntley Middle School on Monday, April 16, 2012. 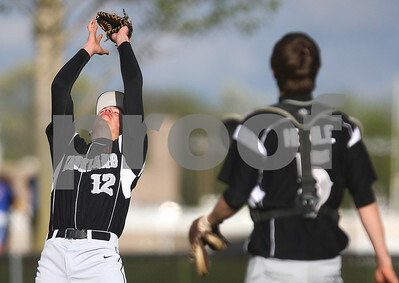 Kyle Bursaw – kbursaw@shawmedia.com Kaneland first baseman Matt Limbrunner (left) catches a fly in foul territory in the bottom of the sixth inning of the game against DeKalb at Huntley Middle School on Monday, April 16, 2012. 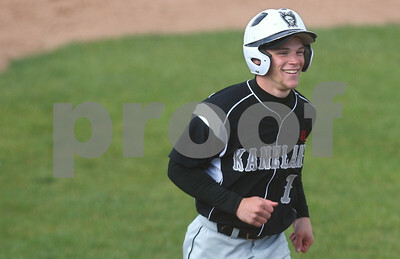 Kyle Bursaw – kbursaw@shawmedia.com Kaneland's Quinn Buschbacher smiles as he makes his way to home plate after hitting a grand slam in the top of the second inning of the game against DeKalb at Huntley Middle School. The Knights won 6-2. Kyle Bursaw – kbursaw@shawmedia.com Joe Swedberg (left) and Carlos Perusquia, of Swedberg and Associates, put up a temporary wall on the lower floor of the Sycamore Library as they begin work on the interior remodel on Monday, April 16, 2012. 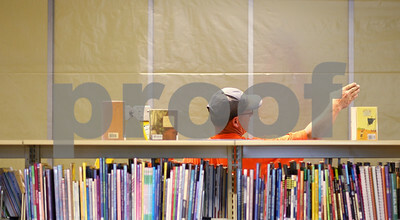 Kyle Bursaw – kbursaw@shawmedia.com Charlie Detig discusses a plan of action with Carlos Perusquia (not pictured), of Swedberg and Associates, as they put up a temporary wall in the Sycamore Library at the beginning of the interior remodel on Monday, April 16, 2012. Rob Winner – rwinner@shawmedia.com Executive Director of Kishwaukee Special Recreation Association Suzie Zeeh demonstrates how to golf from the new SoloRider golf cart at River Heights Golf Course in DeKalb Tuesday afternoon. The cart allows users to be able to play golf who may have difficulties walking. 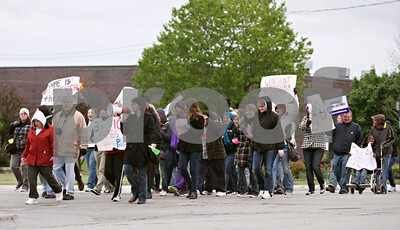 The cart will be shared between River Heights and the Sycamore Golf Club. 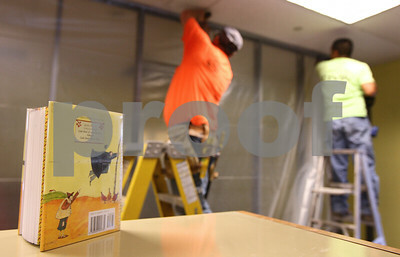 Kyle Bursaw – kbursaw@shawmedia.com Charlie Detig (left) and Carlos Perusquia, of Swedberg and Associates, put up a temporary wall on the lower floor of the Sycamore Library as they begin work on the interior remodel on Monday, April 16, 2012. 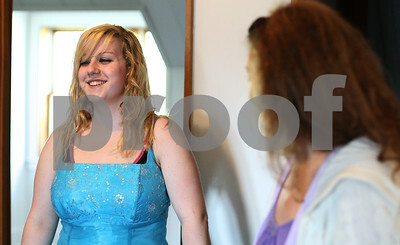 Kyle Bursaw – kbursaw@shawmedia.com Krysta Young, a junior at Sycamore High School, smiles as she shows off a dress to her mother Pamela Olsen (right) and her classmate Kianna Thompson (not pictured) in the attic of the NIU Women's Resource Center on Tuesday, April 17, 2012. 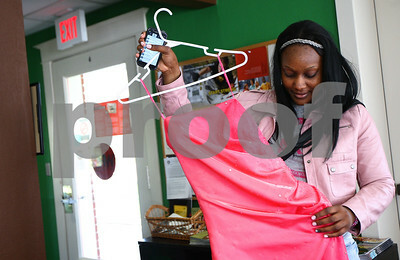 Young took the pictured dress home with her. 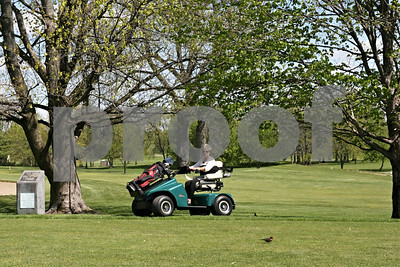 Rob Winner – rwinner@shawmedia.com Executive Director of Kishwaukee Special Recreation Association Suzie Zeeh takes the new SoloRider golf cart for a spin at River Heights Golf Course in DeKalb Tuesday afternoon. 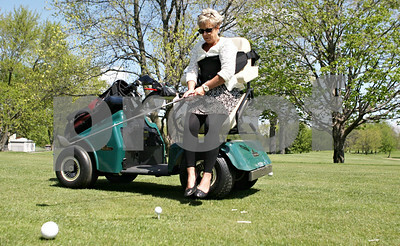 The cart allows users to be able to play golf who may have difficulties walking. The cart will be shared between River Heights and the Sycamore Golf Club. Kyle Bursaw – kbursaw@shawmedia.com Lasheda House shows off a prom dress she picked out for his sister in the office of the NIU Women's Resource Center on Tuesday, April 17, 2012. 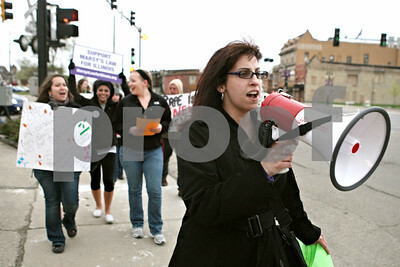 House commutes to NIU from Plainfield, where her sister is in high school. 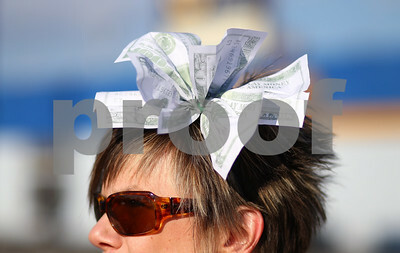 Kyle Bursaw – kbursaw@shawmedia.com Marilyn Hrymak wears a bow of play money in her hair while protesting that the richest one percent pay more taxes at the DeKalb Post Office on Lincoln Highway on Tuesday, April 17, 2012. 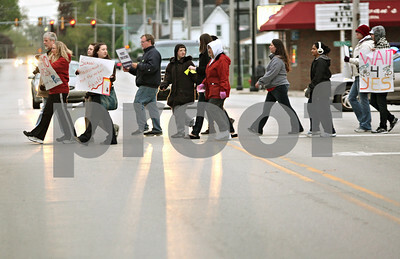 'Millionaires Tax Day' protest was sponsored by Rebuild the American Dream DeKalb. 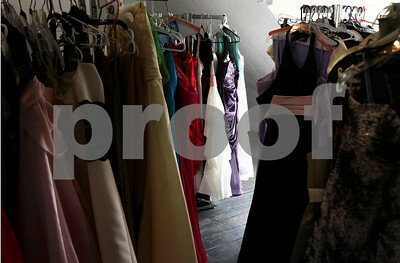 Kyle Bursaw – kbursaw@shawmedia.com Donated dresses wait in the attic of the NIU Women's Resource Center as part of Project Prom on Monday, April 16, 2012, where girls can get a free dress throughout April. 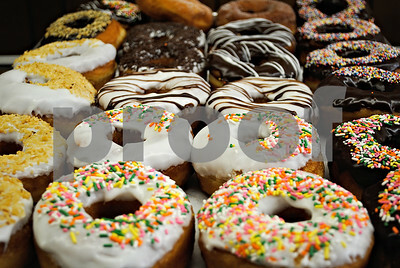 The center is open Monday to Friday from 8 a.m. to 4:30 p.m. and no appointment is necessary. 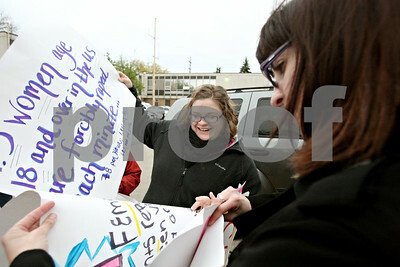 Kyle Bursaw – kbursaw@shawmedia.com Lauren Mlady (right) and others protest that the richest one percent pay more taxes by the street outside the DeKalb Post Office on Lincoln Highway on Tuesday, April 17, 2012. 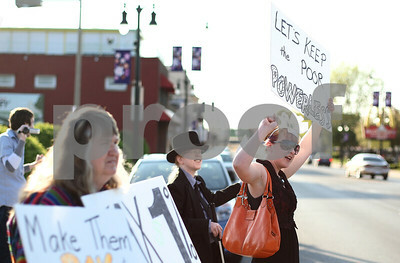 'Millionaires Tax Day' protest was sponsored by Rebuild the American Dream DeKalb. 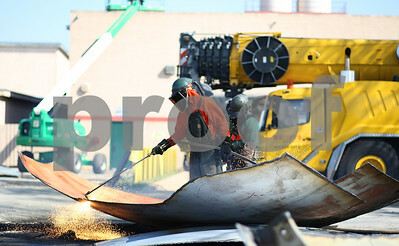 Kyle Bursaw – kbursaw@shawmedia.com Doug Iseler of Iseler Demolition, a Michigan-based company specializing in water tower demolition, moves of piece of the water tower that stood at The Euclid Chemical Company in Kirkland, Ill. on Wednesday, April 18, 2012. Kyle Bursaw – kbursaw@shawmedia.com Michael Joy (front in orange) and Travis Bender, both of Iseler Demolition, a Michigan-based company specializing in water tower demolition, break down pieces of the water tower that stood at The Euclid Chemical Company in Kirkland, Ill. on Wednesday, April 18, 2012. 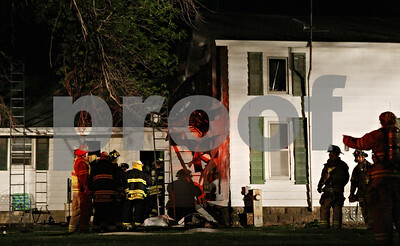 Rob Winner – rwinner@shawmedia.com Firefighters begin inspecting the interior of a home after extinguishing all visible flames located at 14828 Shabbona Grove Road in Hinckley Wednesday night. 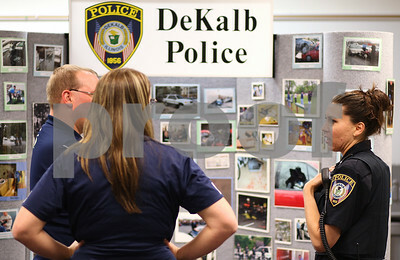 Kyle Bursaw – kbursaw@shawmedia.com Patrol officer Elizabeth Fabro (right) talks to visitors at the DeKalb Police booth at the annual College Employment and Training Fair at Kishwaukee Community College on Thursday, April 19, 2012. 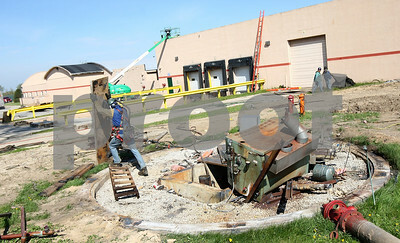 Kyle Bursaw – kbursaw@shawmedia.com Rick Bowers of Iseler Demolition, a Michigan-based company specializing in water tower demolition, removes a piece from the site where the water tower that stood at The Euclid Chemical Company in Kirkland, Ill. on Wednesday, April 18, 2012. 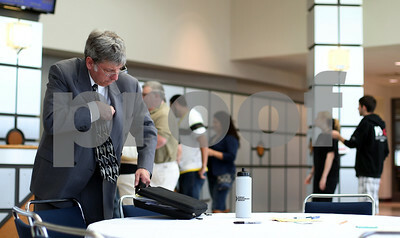 Kyle Bursaw – kbursaw@shawmedia.com Jobseeker Steve Reinert, of Elgin, gathers his belongings from a table as he prepares to venture into one of the two rooms of potential employers at the annual College Employment and Training Fair at Kishwaukee Community College on Thursday, April 19, 2012. 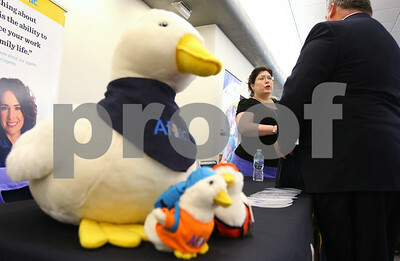 Kyle Bursaw – kbursaw@shawmedia.com Lisa Moore of Aflac talks with a jobseeker at the annual College Employment and Training Fair at Kishwaukee Community College on Thursday, April 19, 2012. 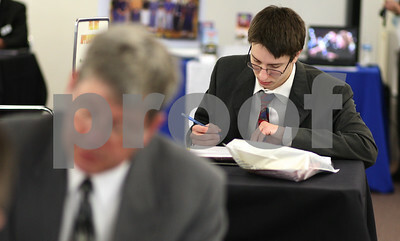 Kyle Bursaw – kbursaw@shawmedia.com Genoa resident Ryan Hermann, 25, fills out paperwork during the annual College Employment and Training Fair at Kishwaukee Community College on Thursday, April 19, 2012. Kyle Bursaw – kbursaw@shawmedia.com Lino Favela of Vintage Tech Recyclers tapes up a stack of televisions on a pallet as another worker tosses something into a cardboard container used to sort items at a free electronics recycling event held at Convocation Center on Thursday, April 19, 2012. The event was a joint effort between Habitat for Humanity of Illinois, Vintage Tech Recyclers and a business course at Northern Illinois University. 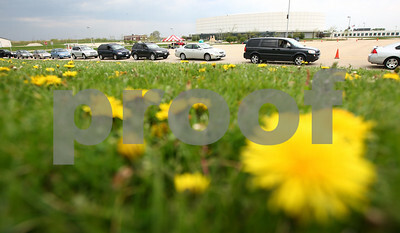 Kyle Bursaw – kbursaw@shawmedia.com A line of cars waits through the Convocation Center parking lot extending all the way back to Highway 38, to recycle their electronics for free. 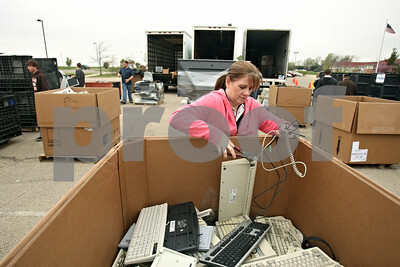 The event, held on Thursday, April 19, 2012, was a joint effort between Habitat for Humanity of Illinois, Vintage Tech Recyclers and a business course at Northern Illinois University. 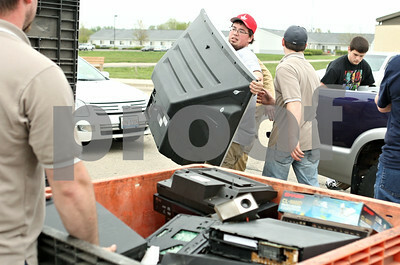 Kyle Bursaw – kbursaw@shawmedia.com Justin and Jeramy Harkins (far left and right respectively) of Vintage Tech Recyclers along with the help of volunteers Jason Herring (white) and Matt Graziano (behind TV) remove a large television from the back of a truck in the Convocation Center parking lot during an event offering free recycling of electronics, held on Thursday, April 19, 2012. 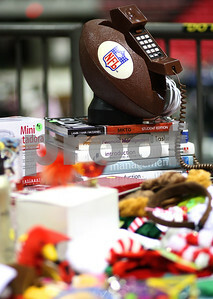 Kyle Bursaw – kbursaw@shawmedia.com Some of the items being sold at the Convocation Center's Colossal Clean Sweep indoor garage sale on Friday, April 20, 2012. 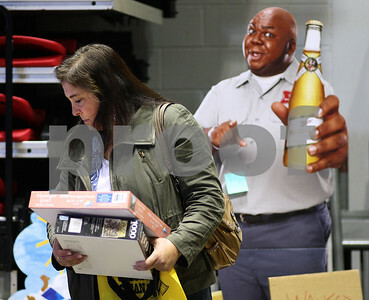 Kyle Bursaw – kbursaw@shawmedia.com Lisa Nordman, of Oregon, Ill., looks through items for sale at the Convocation Center's Colossal Clean Sweep indoor garage sale as a cardboard cutout of Windell Middlebrooks as the Miller Delivery guy stands behind her on Friday, April 20, 2012. 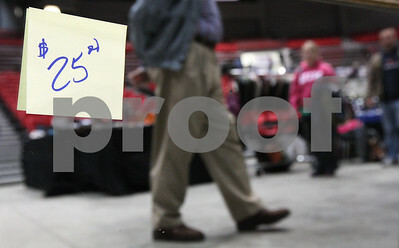 Kyle Bursaw – kbursaw@shawmedia.com A mirror being sold for 25 dollars reflects people making their way around the Convocation Center's Colossal Clean Sweep indoor garage sale on Friday, April 20, 2012. 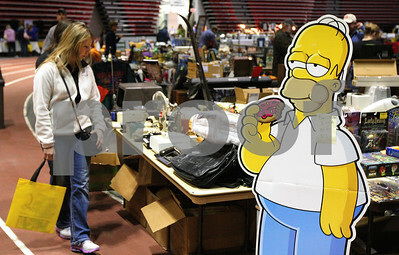 Kyle Bursaw – kbursaw@shawmedia.com Cindy McKinney looks through items for sale at the Convocation Center's Colossal Clean Sweep indoor garage sale near a cardboard cutout of Homer Simpson on Friday, April 20, 2012. 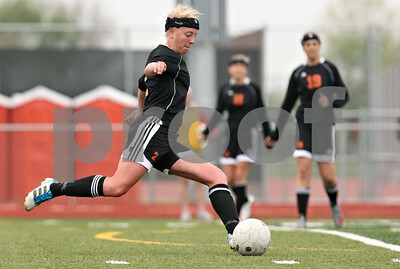 Rob Winner – rwinner@shawmedia.com DeKalb's Kelli Cardine (2) kicks in the Barbs' second goal during the first half of their game against Rochelle Saturday at Barbfest in DeKalb. 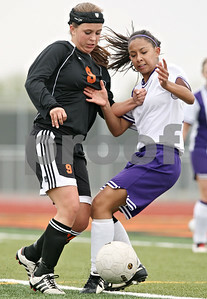 DeKalb defeated Rochelle, 7-0. 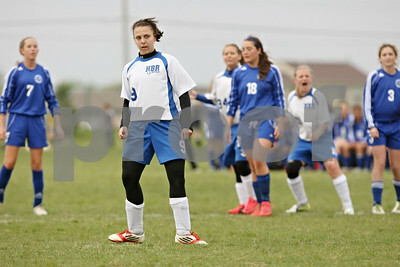 Rob Winner – rwinner@shawmedia.com Hinckley-Big Rock's Kaitlin Phillips watches her penalty kick score late during the second half while facing Burlington Central Saturday during Barbfest in DeKalb. H-BR and Burlington Central ended their match with a 1-1 tie. Rob Winner – rwinner@shawmedia.com DeKalb's Alli Smith (9) and Rochelle's Cynthia Valencia (right) compete for a ball during the first half of their game Saturday at Barbfest in DeKalb. DeKalb defeated Rochelle, 7-0. 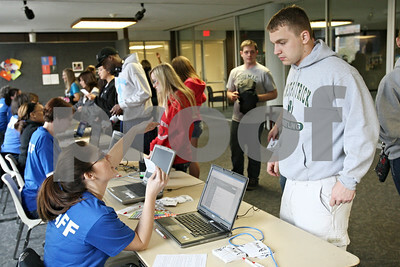 Northern Illinois University student Patrick Olas (right) checks in at the Holmes Student Center before starting a volunteer project during NIU Cares Day Saturday morning in DeKalb.